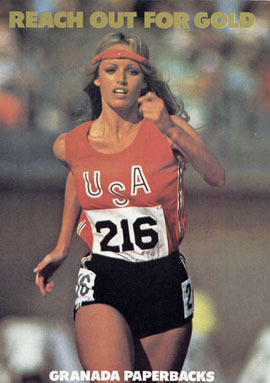 A brilliant US sprinter prepares for a unique triple victory at the Moscow Olympics. The exploitation merchants close in and the mental and physical pressures lead to doubts whether she will ever reach her goal. 90 minute play set in Victorian London about a woman condemned to hang for the murder of her husband. Sergeant Cribb investigates in the limited time before the execution. Seven one hour plays: this and the second series are frequently repeated on ITV3. 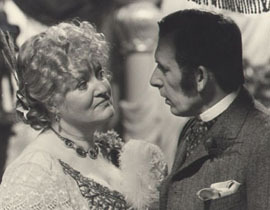 In its first year, Cribb grossed the highest takings of any Granada production, outselling Coronation Street, Laurence Olivier Presents and World in Action. 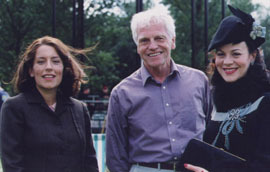 Audiences peaked at 12.5 million in the second series. It was sold across the world to more than 40 countries ranging from America’s PBS to Zimbabwe Television. 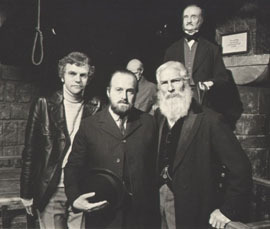 Alan Dobie was nominated as Best Actor in the 1981 Emmy Awards and William Simons was nominated as Best Supporting Actor. Three female students out for a midnight swim witness a body dumped into the river. 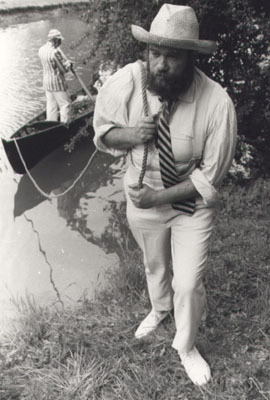 Cribb and Constable Thackeray investigate and find themselves following the route of Three Men in a Boat. A series of music hall accidents prompts an investigation by Cribb that uncovers the not so innocent pleasures indulged in by the cream of society. Bare-knuckle fighting is illegal, but the hands on a headless body recovered from the Thames suggest it is going on. A Scotland Yard man goes undercover to investigate. The body of the king of London’s underworld is found in one of his brothels. Cribb discovers a link with a London hospital and as Thackeray has problems ‘of a personal nature’ gets him admitted to Charing Cross Hospital to observe a key criminal. A competitor drops dead in a six-day indoor endurance race at the Royal Agricultural Hall and while the show continues the versatile detectives have to decide if it was due to exhaustion, tetanus or strychnine. 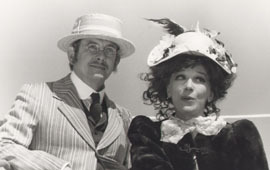 Thackeray is best man at a wedding, but Cribb is suspicious because the bride is 37 years younger than her intended and is wearing a secondhand wedding dress. Her previous elderly husbands seem to have died rather suddenly. An investigation of the theft of a valuable painting and a vase leads to a murder enquiry as Cribb and Thackeray are forced to indulge in the Victorian craze for spiritualism and se’ances. In Brighton, Cribb and Thackeray have a breath of sea air and solve a gruesome murder. They meet the voyeuristic Mr Moscrop, with a passion for telescopes, and venture into the crocodile tank in the aquarium. 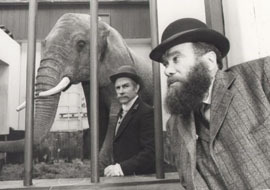 Jumbo, the largest and most famous elephant in London’s Regent’s Park Zoo, is to be sold to the American, P.T.Barnum. A protest group is formed and it seems they will stop at nothing to keep Jumbo in London. Cribb gets the royal seal of approval as he investigates a near fatality involving Queen Victoria and a pram containing her grandson. The nursemaid is dismissed, but is this the work of anarchists? A Christmas episode finds Cribb and Thackeray in a Gloucestershire village investigating the death of a colonel member of the choir. Nobody seems to want to assist the police. The former school captain of a public school organises a selective reunion of distinguished former pupils. Suddenly the old school tie finds another use and the Yard’s help is urgently required. London is beset by Irish ‘dynamiters’ in 1884 and an attack on one of the royal family is planned. Cribb must infiltrate the terrorist gang and discover the sinister secret submarine. 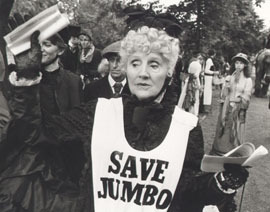 Questioned by a TV audience of children for the BBC programme In the Limelight with Lesley on 6 June, 1980, The Prime Minister, Margaret Thatcher, revealed that she didn’t see much television, but enjoyed a programme that went out on Sunday evenings about a Victorian policeman called Cribb. An American called Smith travels to London with the ambition of researching his family tree and finds some unsuspected relatives. World War II has just ended and two ex-WAAFs meet again by chance and agree that the peace holds little excitement and their husbands are a dead loss. They think up an ingenious way of making the dead loss a reality. Peter was story consultant for this light-hearted series about two gardeners turned sleuths. Bertie, Prince of Wales, investigates the alleged suicide of Fred Archer, the royal jockey. Bertie, Prince of Wales, honours a house party with his presence, and there is a murder each day of the week. Warwick Easton, an Englishman, is recruited to the Keystone Cops and finds himself involved in murder and romance as well as comedy. Dentist Walter Baranov plans to murder his wife Lydia aboard the liner Mauretania in 1921 and pass himself off as a detective, but complications ensue. What did Theo really see as an evacuee on a Somerset farm where a terrible murder was committed? Twenty years later he returns to relive the dramatic events. Bertie, Prince of Wales, turns sleuth again to solve a murder at the Moulin Rouge, aided by the divine Sarah Bernhardt.